They gulped at that term, and then began to read it. Then they laughed, and giggled, and when I asked volunteers to read it out aloud, they got a kick out of reading and listening. We read it out loud three times (I did it the third time). I then told them that there are strategies that can be helpful when you come across some text that, on first brush, seems vexing and confusing, or even downright odd. It’s not enough just to shake your head and move on. Good readers learn to stop, re-read and then think about the words and meaning in context of the larger system of writing. This activity ties into teaching them Close Reading skills on a few levels: re-reading the text for clarity and understanding, narrowing the focus on elements of the text, grappling with writer’s intent and meaning even when that isn’t clear. My hope is that as we revisit these elements this year, we will have this anchor text (even if it is ridiculous, or maybe because it is ridiculous that they will remember it) to return to to remind ourselves some of the strategies. 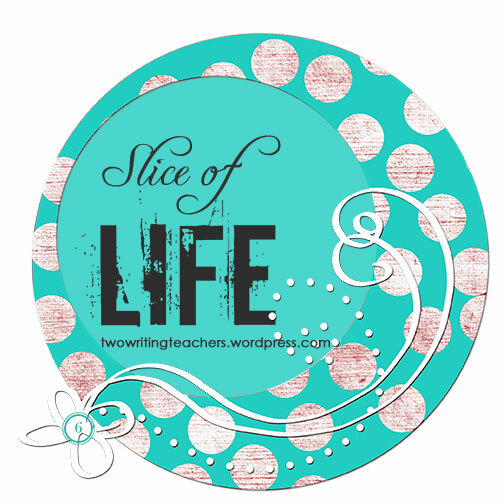 This entry was posted in Common Core, Slice of Life and tagged closereading. Bookmark the permalink. Readers become detectives. Reading is an adventure! What fun, teacher!!! Yes, there is a connection! Kate was my instructor for the 2006 Writing Institute. I just met Chris for the first time in person this past summer, but I’ve followed his work for awhile now. Both are fantastic people and exceedingly smart! What a fun exercise! Thanks for the post and a reminder of how fun language can be. This is perfect! I will be using this to help teachers understand how to make close reading something that might be fun rather than a chore. I too, am following the conversation of Chris and Katie. Such smart thinkers out there! I love this passage. I use a similar one about Flannery Barps with my grad students and with parents in workshops. It makes you stop and think about the role of meaning and background knowledge in our reading. For many years, I have used the Carroll’s Jabberwocky (from Through the Looking-Glass and What Alice Found There, 1872) to demonstrate the mind’s insatiable desire to make meaning. Students and teachers alike find a sense of intellectual validation as they sift through the words to distill shared meaning. Love it!